Double the Wow! factor with both the film and the fabulous surroundings in which you and your friends find themselves. Who needs a multiplex when you’ve got your own upstairs? Do you have a partner who repeatedly tuts at all of your books ‘cluttering’ (their words) up the place? Fear not. A library in your loft will give you all the time and space to hide yourself away up there with a book for a few weeks. Seriously chaps, how good is THIS? And why not, she’s got her handbag for everything she needs, you can have this. At last, a nightclub where you decide on the guest list. This one is in Belarus but you could go for a more cosy theme rather than big and glitzy. Now come on, where else can you put that drum kit? This loft conversion has the perfect beat as far as we’re concerned. Well look, how you get it up there is your problem-but how about this for bringing a little taste of the Crucible to your home? Cue some very late nights out with the lads. Make it look like you’ve a branch of Ralph Lauren in your own home. Lots of light, space and room for you to display your very finest of threads. You might even have enough room for a fancy dress section! No, really, it’s easy. You can have a swimming pool in your loft but don’t forget to bolt on the outside balcony as well, the neighbours will love the idea once you’ve had them round for a swim and some canapés. For those amongst you who prefer to do photography ‘properly’, the loft space is a perfect location to do whatever it is you do with strange liquids, lengths of film and clothes pegs. Light when you want it, dark when you need it-just add some blackout Velux blinds and you’re away! Rather than pay for expensive membership of a gym you eventually stop going to (although they’ll continue to take your monthly fee until the end of time) why not work out in your loft-it’s private, convenient and, most importantly of all, you won’t have to worry about the gym jocks laughing as you struggle to bench press 30kgs. 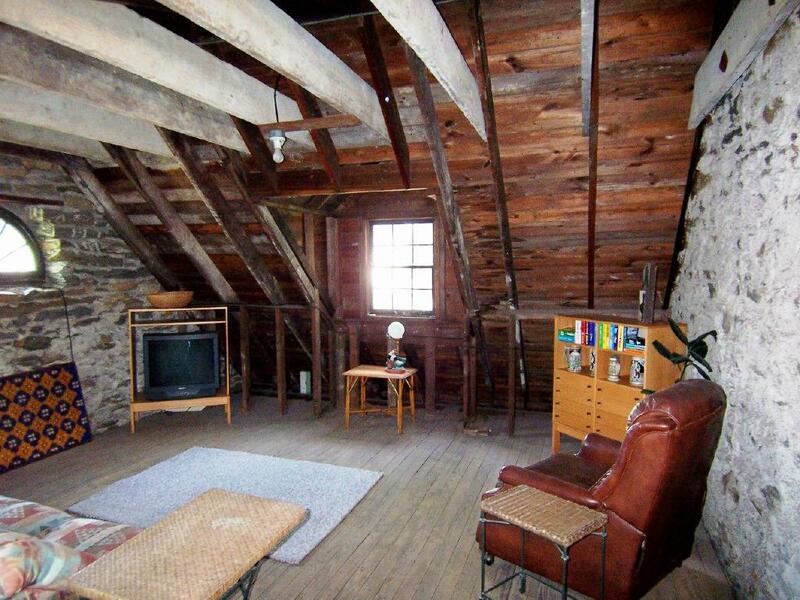 Your loft really is a limitless space. You probably won’t, of course, be going for such spectacular examples as those illustrated, but the scope and imagination portrayed does outline what can be achieved. So, with that in mind: what are you going to do with yours?